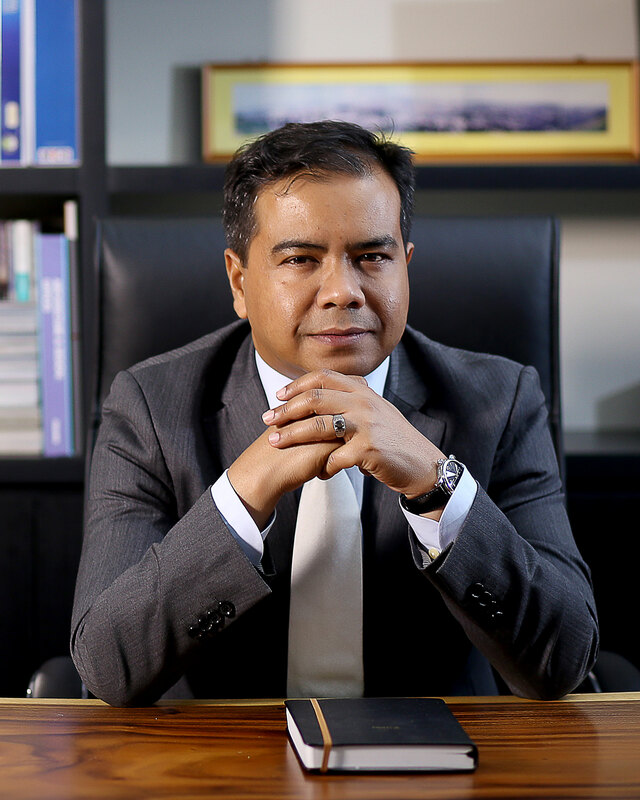 Having garnered vast experience in property consultancy practice in Knight Frank in the early 1990s, Sr Firdaus established his own practice in 1998 as a small niche outfit which had grown into a multi-faceted property consulting services with over 200 staff. Sr Firdaus holds an honours degree in Urban Real Estate Management from Kingston University, London, a registered valuer, real estate agent and property manager by profession, a Fellow of the Royal Institution of Surveyors Malaysia(RISM), a professional member of the Royal Institution of Chartered Surveyors(RICS), the International Real Estate Federation(FIABCI), the Malaysian Institute of Estate Agents(MIEA), the Malaysian Institute of Professional Property Managers(MIPPM) and the Association of Valuers, Property Managers, Estate Agents and Property Consultants in the Private Sector, Malaysia(PEPS). He is currently the national committee member and Malaysian Property Awards(MPA) evaluator in FIABCI, a Board member in the Board of Valuers, Appraisers, Estate Agents and Property Managers, a Director in the Board of Directors in Malaysian Institute of Estate Agents and education committee member in Institut Penilaian Negara(INSPEN). He was awarded Ahli Mahkota Pahang for his dedication in the property consultancy profession. Sr Firdaus oversees the smooth running of the firm’s operations and is in charge of the Head Office in Wangsa Maju, Kuala Lumpur.